Sometimes small things can make a big difference in your overall happiness level. 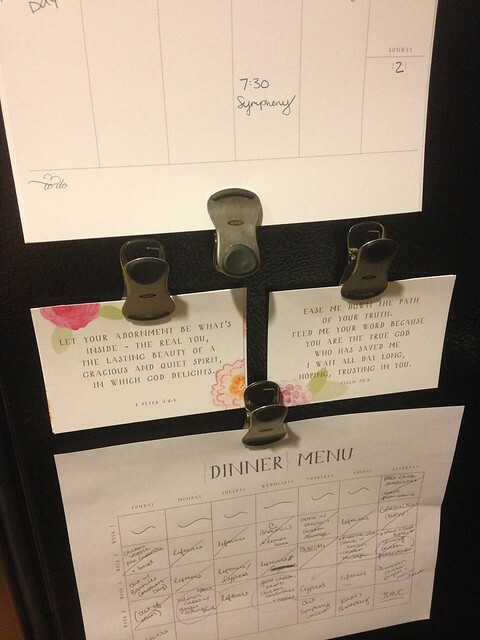 I love it when I can make some simple change that ends up making life a lot easier, or making my days happier. With that thought in mind, today's Five Things is full of little things that have been making me smile lately! 1. 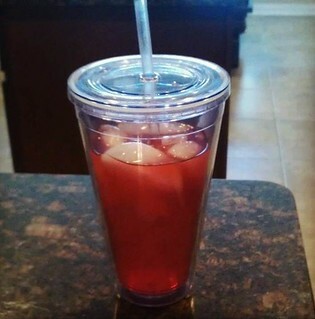 Tazo Tea Lemonade at Home My new favorite drink is Tazo tea lemonade. Actually, it's always been a favorite, but I never liked paying $4 for it at Starbucks. BUT... it turns out you can make it at home, and it's not even expensive! This is what you do. 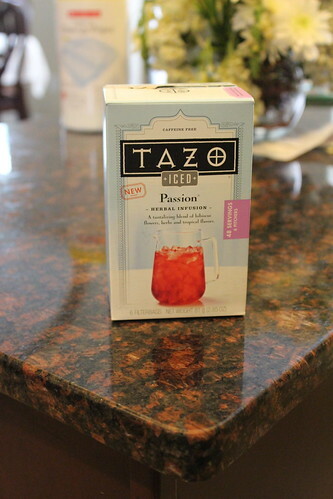 Purchase Tazo passion iced tea. It's like $3 and you get six tea bags, which is enough for like six whole pitchers. The instructions for making passion tea lemonade are on the box, but I'll just write them here so you can see how easy it is. First, boil a quart of water. 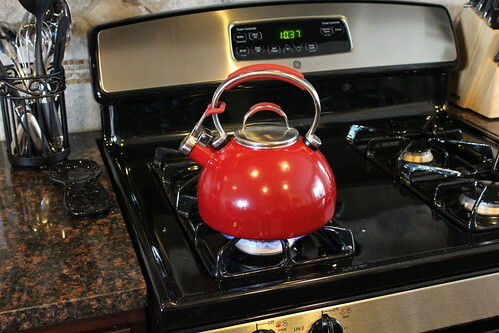 Put the boiled water into a 2-qt pitcher (so it's half-full) with the tea bag. Let it sit for 7ish minutes (the box says 5, but believe me... you want 7 or 8). It'll make a pretty red color! 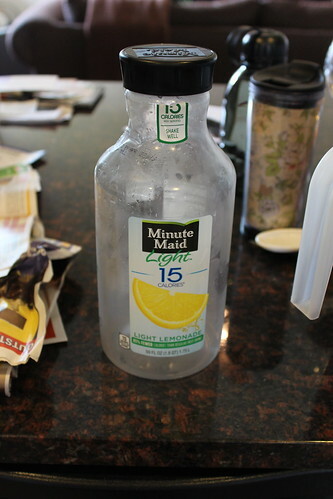 Then take the tea bag out and add a quart of lemonade (I use Minute Maid Light so it's more healthy, but I'm pretty sure any lemonade would work). You can use more/less lemonade to get the exact proportion, but I like it half-tea-half-lemonade. Then stick it in the fridge to cool (waiting is the worst! It's okay to fill a glass with ice and drink some immediately!). You can add sweetener/syrup if you want, but I love it without! 2. Dish Soap in an Olive Oil Dispenser Okay. So it's annoying to be continually getting the dish soap out from under the sink and having to put it back, right? I mean... too much squatting. 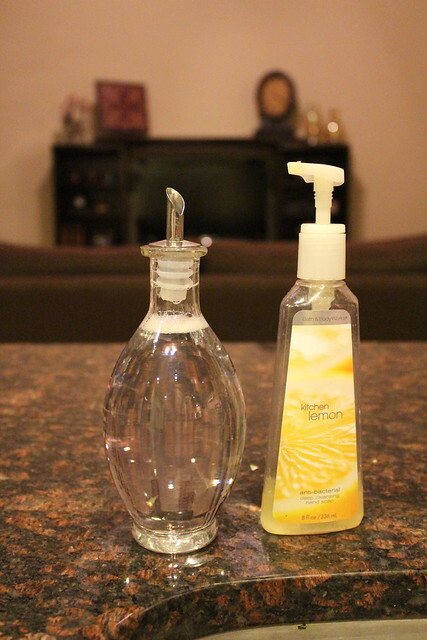 But it's not very pretty to leave your bottle of Palmolive just sitting on the counter either. Especially once you've had it for a while and sticky soapy residue starts to form on the top of it. So what's a girl to do? Answer: olive oil dispensers. 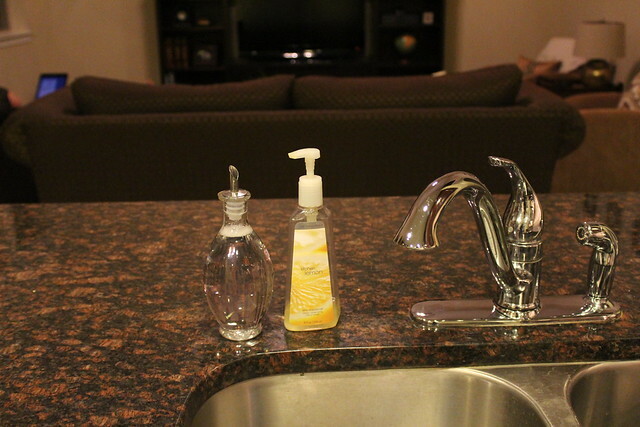 Fill the olive oil dispenser with dish soap. Pretty enough to sit on your counter, and it dispenses when you tip it over (no need to pop lids open, but it won't spill much if you accidentally knock it over). 3. 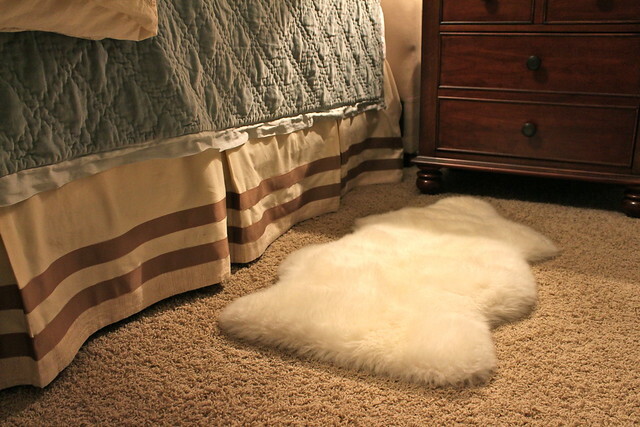 Sheepskin Rug in the Bedroom We were at IKEA a while back, and they have these sheepskin rugs that are just so little and cute and SOFT. So I picked one up and carried it around the store (absentmindedly petting it until Jeff pointed out what I was doing) and bought it and brought it home. 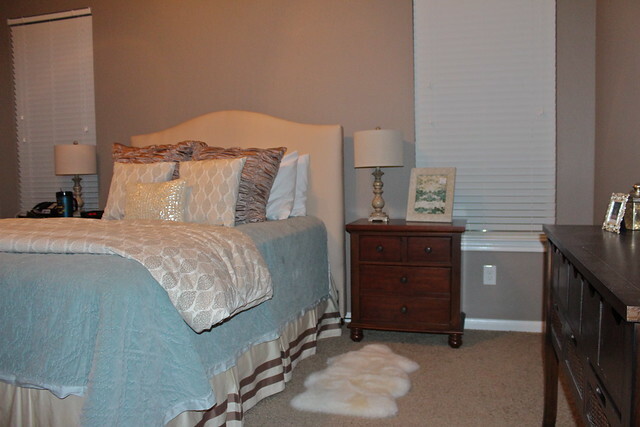 And I put it next to my side of the bed. 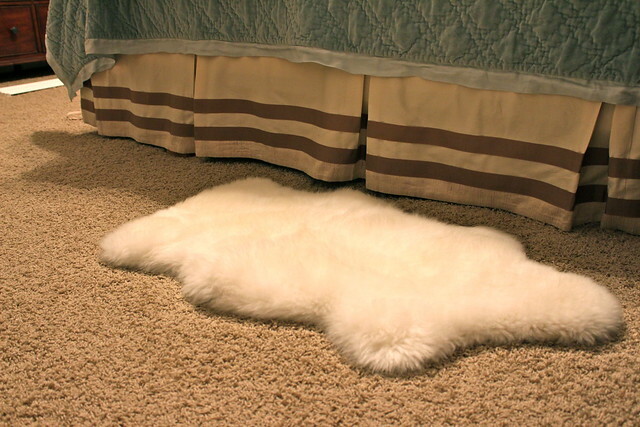 And now, every morning, I step out of bed and onto the softest floor in the world. And it just gets my day started on the right foot. Semi-literally. A small purchase, but a very effective one! 4. Jones Design Monthly I love to be organized. Lists and calendars and planners are my favorite. That's why I love Jones Design Monthly. Basically you subscribe, and once a month Emily designs all new calendars and lists and sends you the PDFs. 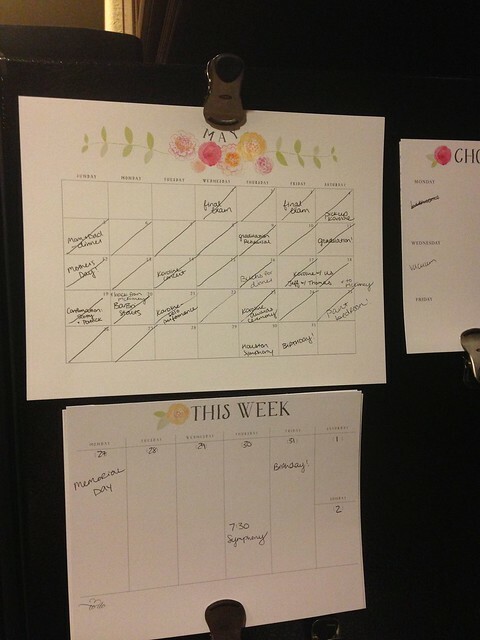 There are weekly and monthly calendars, grocery lists, meal planning templates, notes pages, and beautiful scripture cards with different Bible verses each month. AND a pretty art print that Emily designs. AND a craft project (simple things like felt flowers or pretty gift card packaging or pretty tags and labels for packages of baked goods)! Emily's not paying me to write this or anything, but I just think it's great when women start something wonderful and build a business out of it, and I love her stuff so much, so I wanted to share. 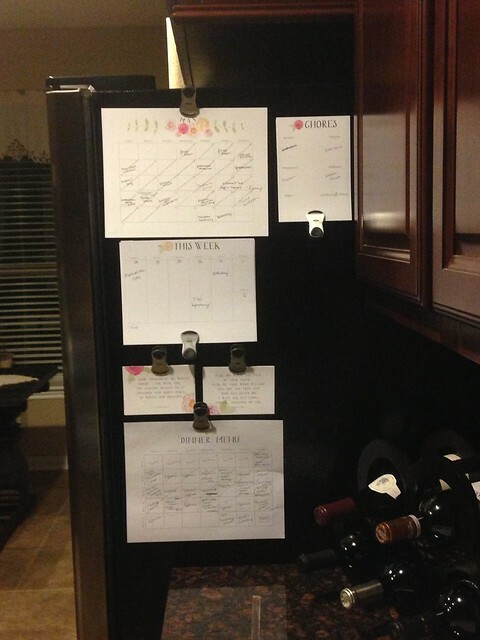 I put all the calendars, meal planner, grocery list, scripture cards, and chores list on my fridge. Every month the designs change and I just think it's so much fun! I get so excited waiting for the e-mail to show up in my Inbox! You can subscribe here, and your first month is free! My new favorite snack to eat while studying is Caesar-flavored Snapea Crisps . They're actually baked pea pods (so WAY lower in fat, sodium, carbs, etc. than something like chips or pretzels, plus they've got fiber in them! ), but they're crunchy enough to satisfy my carb cravings. They carry them at the Wal-Mart by our house too, so I can buy another bag in less than ten minutes round-trip! Haha! So, there you go - five things that brighten my days! 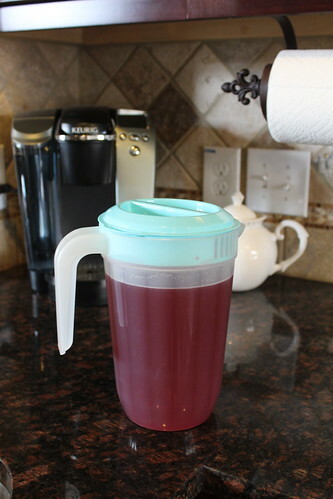 Who's going to run to the grocery store now for Tazo tea lemonade supplies? I highly recommend it! 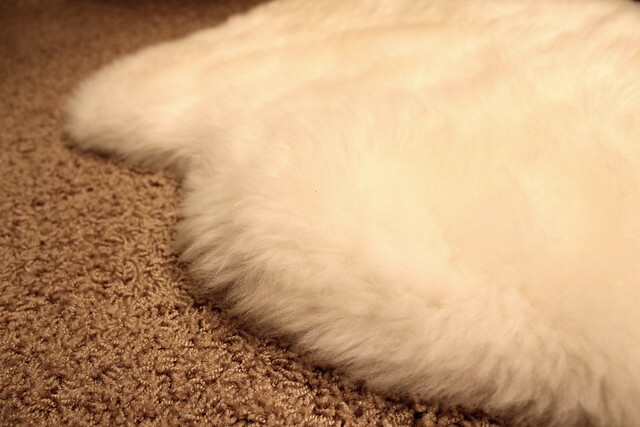 Can anyone explain to me how stepping out of bed in the morning onto a super-soft rug can make your whole day better? Anyone else have a good dish soap solution? Love this post!! I can't wait to try out the Jones design company, what a neat idea!! Those pea pod things look good! I may have to try those! I am always looking for simple healthy snacks to keep at work (currently I eat a lot of raisins...) And I may have to try that tea too. I normally don't drink tea but this sounds delicious!